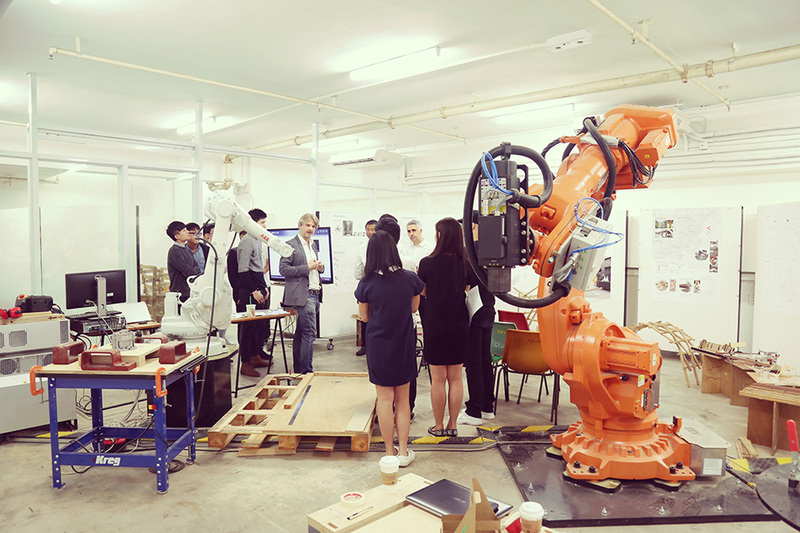 For the past year Christian J. Lange has been working on the set up of the new robotics lab at the Faculty of Architecture at The University of Hong Kong. The lab was recently installed and consists of two ABB industrial robots, a rotational table and various end-effectors. 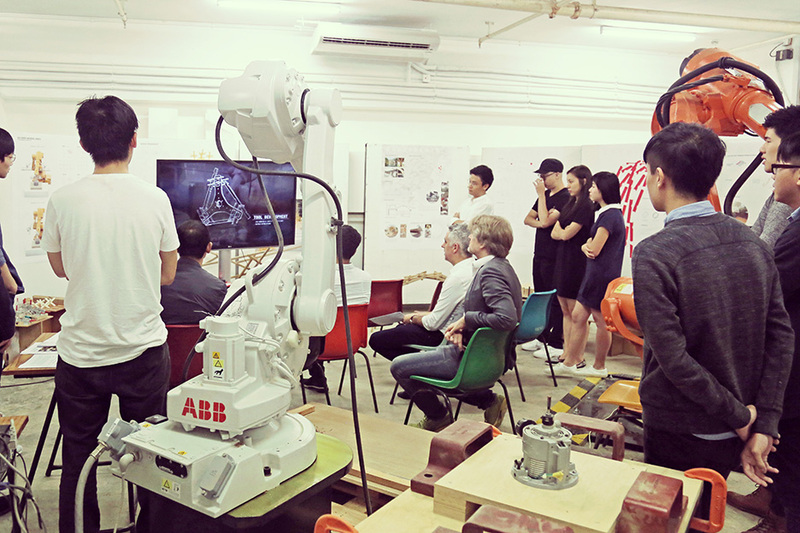 In an environment with rapidly growing cities, the robotic fabrication lab has its emphasis on the discovery of new methods, techniques and material assembly systems that have a meaningful and sustainable impact on the high-density build environment in the context of Hong Kong and Asia. 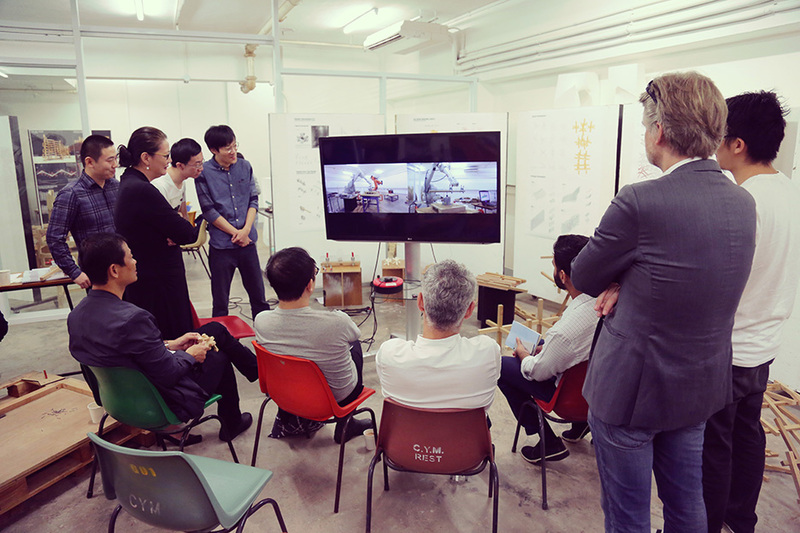 Currently Lange is teaching a March I studio focusing on the opportunities of robotic fabrication in traditional timber construction techniques that are specific to the Asian context. 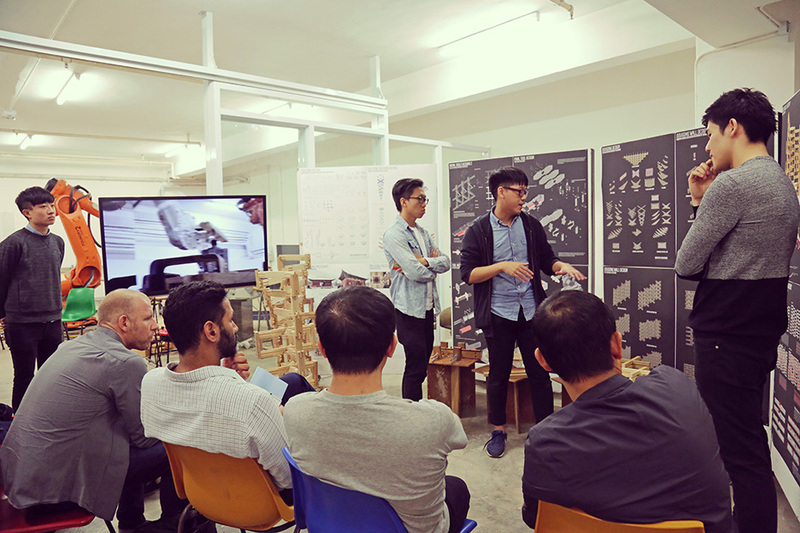 Below are some photos of the recent midterm presentation.